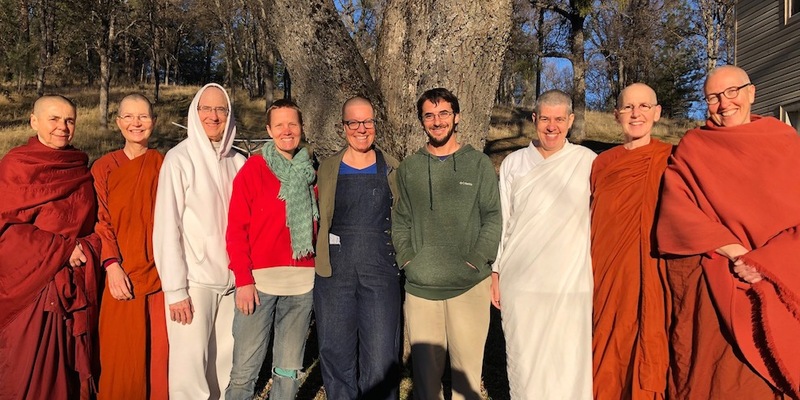 The Aloka Vihara Resident Community will be in Winter Retreat this year again from January 15 – April 15, 2019. We welcome meal offerings during Winter Retreat ~ if you would like to offer a meal for the nuns, please get in touch with the Vihara Steward at <retreatresponse@gmail.com> or call 530 647 8262 and leave a message. Please click here for the Aloka Vihara Dana List. Please be aware that the nuns and resident supporters will be observing Noble Silence during this time, but you are most welcome to stay for the meal and meditate in the shrine room. Here is a link to our last newsletter on January 14 before entering the Winter Retreat.